Hey! Hey Theo! I wanna know, why you are so good. (Is it dope? Is it hash, Is it grass that makes you class?). 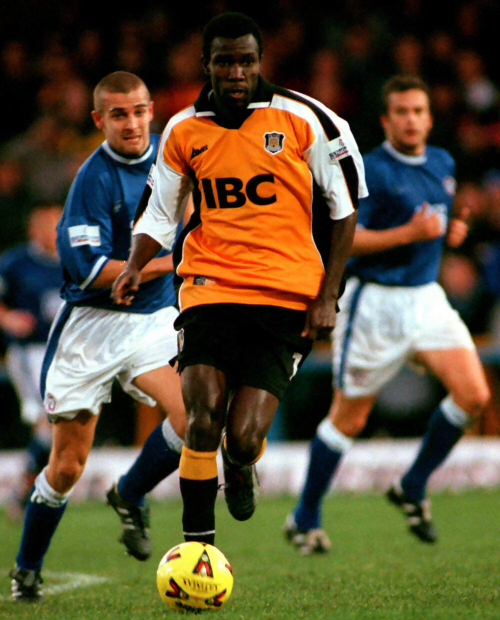 The Tiger Nation wondered aloud, and often, if Jamaican international Theodore Whitmore’s footballing ability was the result of psychoactive drug use, but really is was the supporters whose mood was heightened by seeing skills that not long before had graced a World Cup finals now being performed in Division Three by a man wearing black and amber. 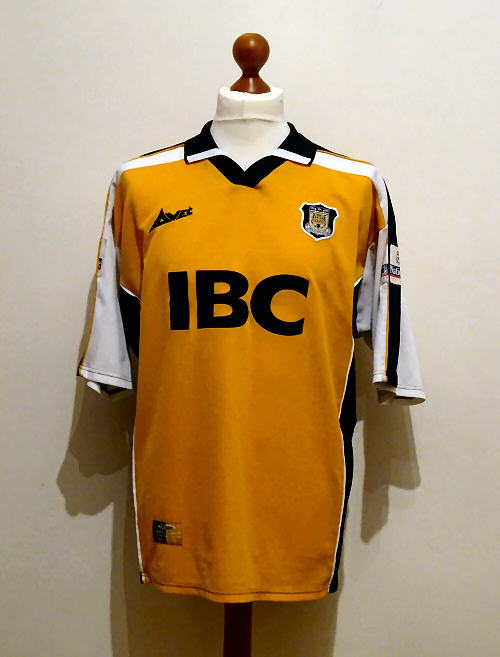 Well, black and mustard, as the 2000/01 home shirt had a tone somewhat weaker than we are accustomed to. It was the second home shirt produced by Avec, and the second to carry the revolting ‘Hinchliffe crest’, designed by the son of City’s vice-president Stephen Hinchliffe, who took that title a little too literally and was later jailed for fraud. 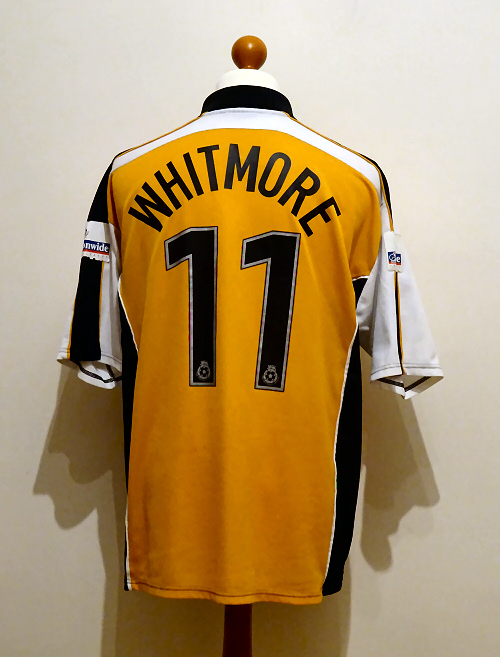 This size XL shirt was worn by Whitmore in a campaign that culminated in a play off berth, belying off field drama that saw City enter administration in February 2001 and players go unpaid for several months. XL shirts were standard for all players at this time, whether they were Clint Marcelle little or Kevin Francis large. Whitmore alternated between short sleeved and long sleeved shirts, and this short sleeved version shows signs of use and repeated washing, the Nationwide League sleeve patches are cracked where they were applied over panels with piping, and the raised part of the sponsor has cracks also. Whitmore made 29 appearances for City in 2000/01, scoring 5 goals.